LetsGoPens.com • View topic - Post Your Favorite Anti Flyers Pic! 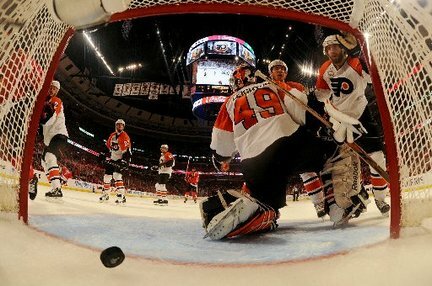 Post Your Favorite Anti Flyers Pic! 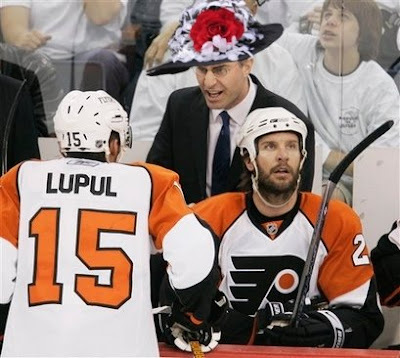 Re: Post Your Favorite Anti Flyers Pic! This just in! 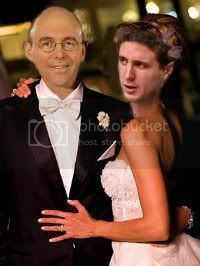 McGuire and Richards tie the knot! Well...I guess not, since he is probably too busy looking at Pierre McGuire's [board ad] instead. this is actually begging for a photoshop to be done. you DO see the existing photoshop, don't you?!?!? Hes talking about the Dicks logo. Nope. We're done with them. Onto the next. Make that a beach ball.